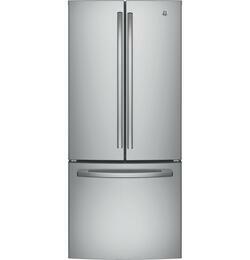 Display your food like a work of art in our most popular French Door refrigerators. These refrigerators open left and right, and the freezer is conveniently located at the bottom. 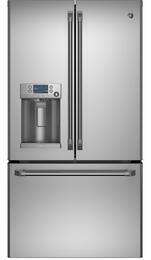 Choose from French Door revolutionaries like Whirlpool, Samsung Appliance, LG and Electrolux. We believe that every kitchen deserves to be a luxurious one, so we offer daily deals and deep discounts on the above brands and more! 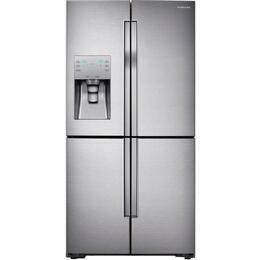 Are you looking for stainless steel, colored or panel-ready French Door refrigerators? If so, you're in luck! We offer dozens of French Door models in every color available! Our selection contains features like SmartCooling, LED Lighting, Door in Door, touch controls and ice dispensers. Need help choosing? Contact our helpful team of experts at 1-800-299-9470, or click through our Refrigerators Buying Guide.